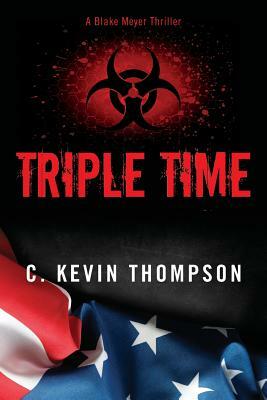 Createspace Independent Publishing Platform, 9781543008425, 434pp. A Looming Attack. A Loathsome Abduction. A Lethal Assassin. Supervisory Special Agent Blake Meyer has an impossible choice to make. After thwarting a massive biological attack on the continental United States, the contagion is still missing and in the hands of the enemy. So is his family. Abducted as an act of revenge. The clock is ticking, and the chances of finding his wife and children wane with every passing second. The assassin behind it holds all the answers. Blake Meyer knows what must be done...but can he accomplish it before it's too late? Time is literally of the essence. And double time will not be fast enough. C. KEVIN THOMPSON is an ordained minister, having served churches in New York, Mississippi, Texas, and Iowa. He holds a B.A. in Bible from Houghton College (New York), an M.A. in Christian Studies from Wesley Biblical Seminary (Mississippi), and an M. Ed. in Educational Leadership from National-Louis University (Illinois). Kevin is married to Cindy, his wonderful wife of over 35 years, and they have three daughters, two sons-in-law, and five grandchildren. He speaks in churches on occasion, presently works as an assistant principal in a local school district, and plays the drums. He is a huge fan of The Blacklist, Blue Bloods, 24, and Criminal Minds, loves anything to do with Star Trek, and is a Sherlock Holmes fanatic.